Since game mechanics are one of the principal ways that games communicate, learning to “read” mechanics is a critical skill for developing game literacy. Vexata is a new game literacy tool that builds off lessons learned from Tiltfactor’s Grow A Game cards and our team’s years of experience working in game design education. While the Grow A Game cards present an open system within which users develop their game designs, Vexata presents the discrete system of a board game to better help middle school students. Players move around a game board periodically adopting new rules that relate to specific values. By reflecting on how the rules and values relate, players improve their game literacy. 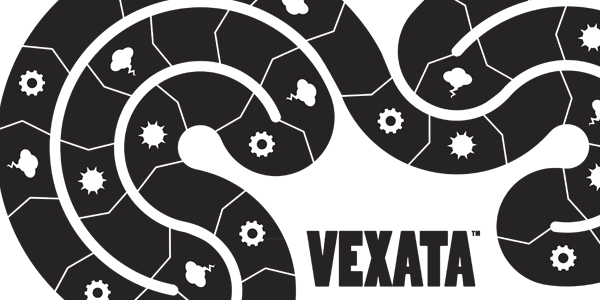 Vexata is simple to understand, complex enough to have high replay value, and fun!